Get the all the iron you need for aid in this Iron Value Pack by Mountain Gear - one dose for everything you'll need. A necessary supplement to cams and nuts when building a strong big wall rack, this kit is an essential one-stop fill for your rack. Get the expansion range of an entire set of cams with Trango's telescoping Big Bros cylinders. While your rack's a little lighter, you get solid protection that can handle almost any big job from fist crack to off-width placements. The Trango Concealed Carry Chalk Bag's innovative hood quickly and conveniently prevents chalk from covering the inside of your pack. A low-profile stash pocket keeps the hood out of your way while climbing and ready to deploy when you pack up. 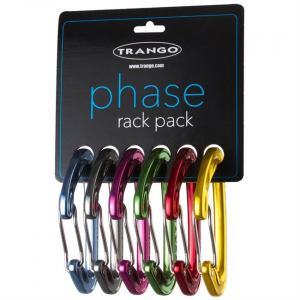 Load up your rack with the tough Trango Double Rack, a serious piece of gear for all you climbing pieces. Three loops on either side and one in the rear provide the space for everything you need. What Phase are you in? Whatever it may be, the Phase draws are designed for it all. 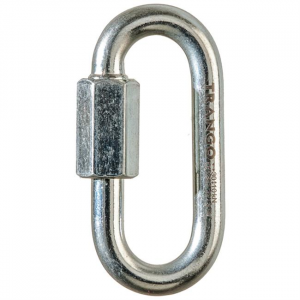 Lightweight, easy clipping, and a large rope bearing surface make this the perfect all arounder. Whether you do it all or aspire to, the Phase is the quickdraw for you. 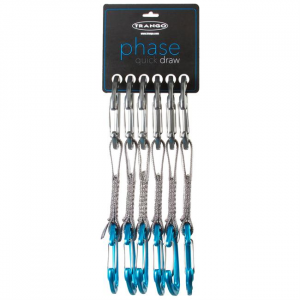 The Phase Rack Pack allows you to match the colors of your cams for easier size selection when you are on the sharp end with a set of 6 multi-hued Phase Wire Gate carabiners. A knife is a necessary piece of gear and the diminutive Piranha from Trango clips to a key ring or a carabiner so you can easily take where you need to go. 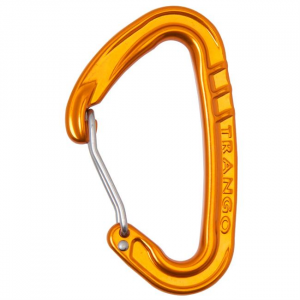 Trango's 10mm Quicklink is built with durability in mind. The oversized diameter adds an extra margin of safety for installations that will remain in place for an extended time, and the plated steel is highly corrosion resistant.